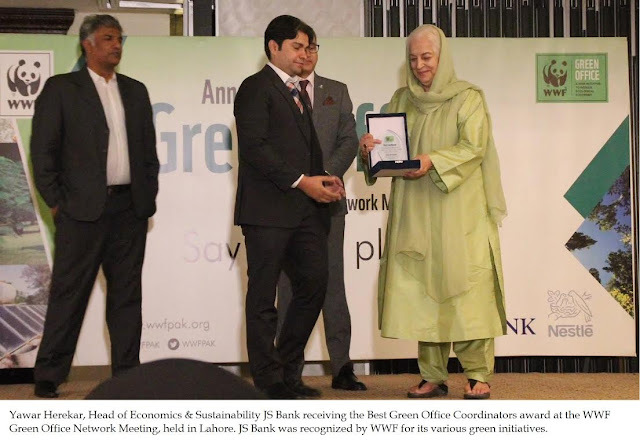 JS Bank sponsored WWF-Pakistan's Green Office Network Meeting 2017 at a local hotel in Lahore. The purpose of the network meeting was to urgently translate sustainability strategies and best practices for reducing plastic debris, in Pakistan, into actionable development plans. The theme of the event was “to turn the tide” and solve the excessive plastic waste problems that each one of us creates on a daily basis. The one-day conference was attended by the corporate and public sector leaders, academics and industry practitioners from all across Pakistan. It included keynote speeches from the respected environmental lawyer, Mr. Rafay Alam who discussed the prevailing laws regarding plastic consumption and its alternatives in Pakistan. Mr. Hassaan Sipra, Scientific Officer, Centre for Climate Research and Development, COMSATS also shared a deep dived synthesis of his research on the informal waste sector of Lahore and the international labour organizations for plastics waste management in Pakistan. The event was followed by an award ceremony for Green Offices with best performances in the reduction of their carbon footprint. In this regard, JS Bank received the Best Green Office coordinator award. insight into their respective plastic recycling initiatives, highlighting how their organization’s work is contributing to the underlying principles of environmental sustainability in Pakistan. Environment Protection, Punjab. "Efforts of the Government alone cannot have a significant outcome unless the public shows interest and gets involved in reducing plastic consumption. People should shift from disposable plastics to reusable material. 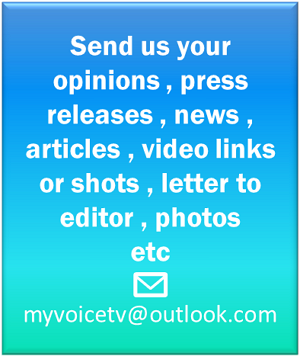 If we do not take up this issue now, it can be devastating for all living beings." JS Bank is one of the fastest growing banks in Pakistan, with 323 branches in 161 cities including one international branch, and is a leading player in the digital banking space. JS Bank is also a recipient of the prestigious award for Best Environmental and Social Governance Bank at the Pakistan Banking Awards 2017. The Bank is part of JS Group, one of the Pakistan’s most diversified and progressive financial services group. For more information, please visit http://www.jsbl.com.